Jadco Manufacturing is a leading provider of engineered solutions to combat impact and abrasion challenges. 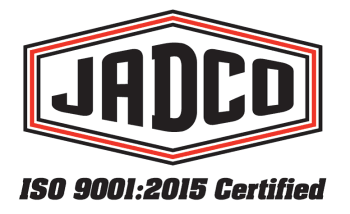 Founded in 1980, Jadco has established itself as an industry-leader, providing unmatched technical expertise, quality, and customer service for its unparalleled array of wear-fighting products. Engineered solutions... For impact and abrasion challenges. We examine raw materials, work-in-progress, and finished goods to ensure that everything we make is to your precise specifications. Our engineers work directly with your designers, using autocad™ and solidworks® plus additional software packages, to plan every project detail, including tooling, equipment, and manpower requirements, even production fixtures and processes.